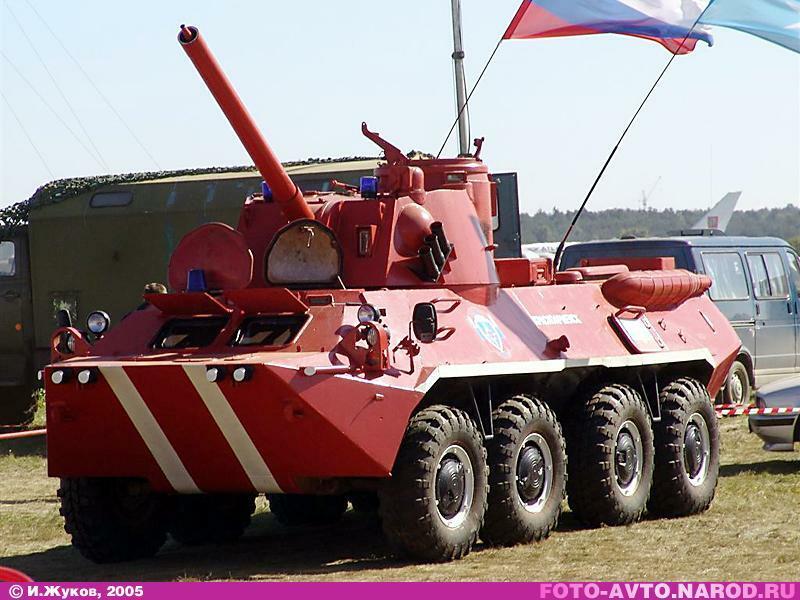 A unique selection of Soviet fire-fighting tanks! 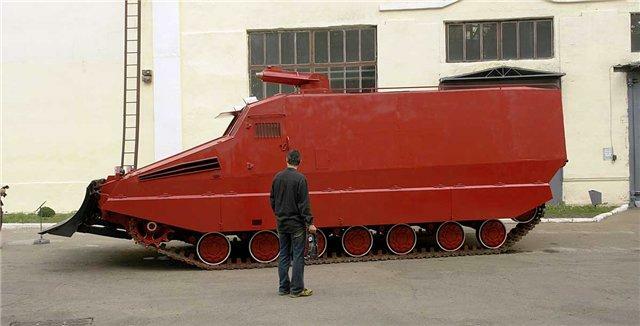 The basic advantage of a fire fighting tank over a fire fighting truck is that it can hit a burning object, crush burning flinders with its track and water the burning remains from above. But in case of conflagration what will be with the crew inside this “can”? 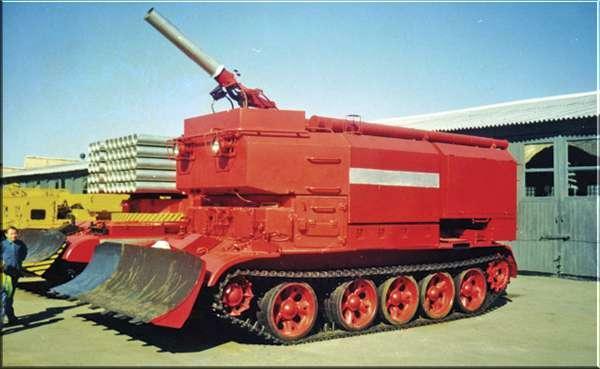 A fire fighting armored tank of Baikonur. One of the two existing. 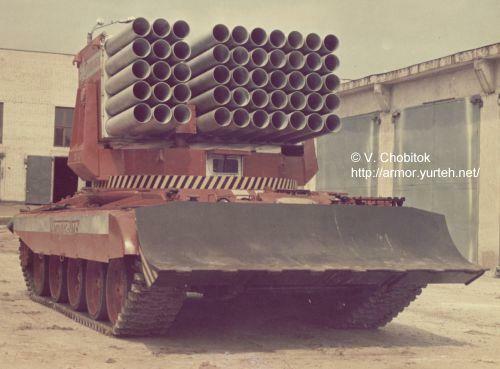 T-55 chassis. Later fire fighting equipment became only smarter. GPM-54 could water objects from afar. 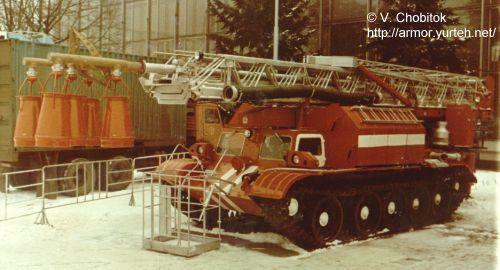 Instead of fire pumps they began to use RC firefighting monitors such as LSD-S100U. 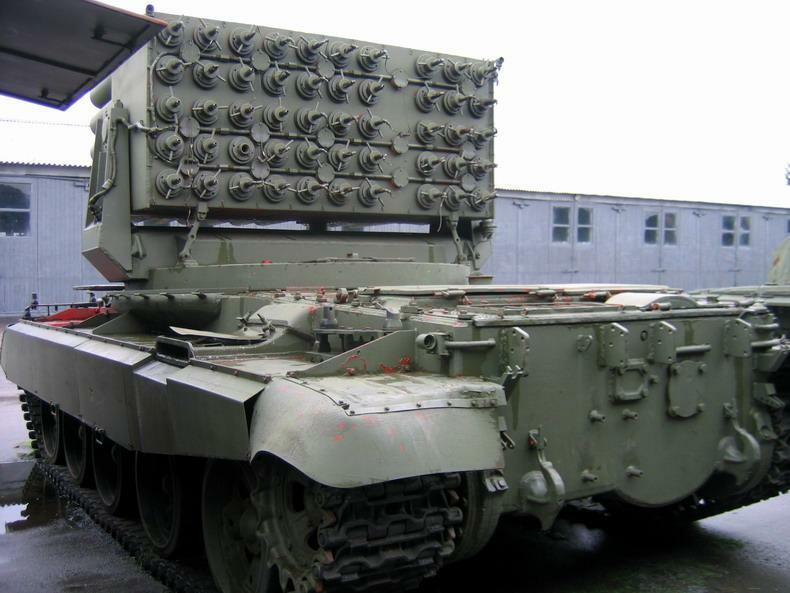 Chinese and Czech vehicles were made in the similar way using Russian T-55 and Czech SPOT-55 as a basis. This monster was a tractive unit in fact. 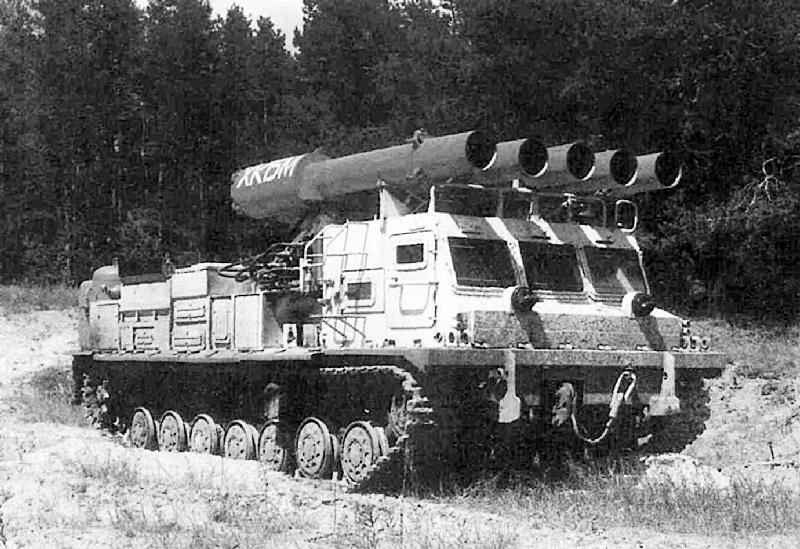 “Impuls-1” developed in 1960 in the Ukrainian SSR. The vehicle was successfully used to extinguish conflagrations. “Impuls-2M” was even more powerful. 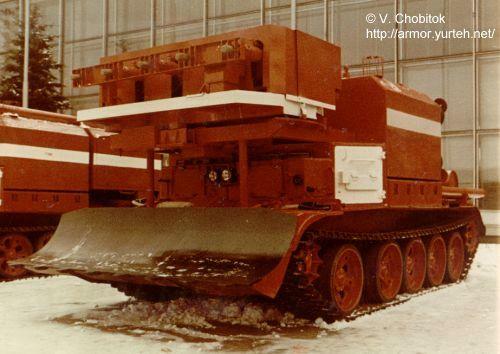 T62 chassis, weight – 34-36 tons, travel speed – 40-50 km/h. 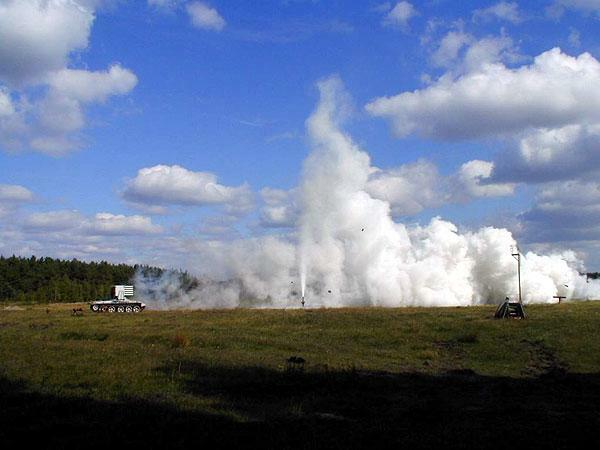 “Vetluga” system used dry chemical fire fighting system. 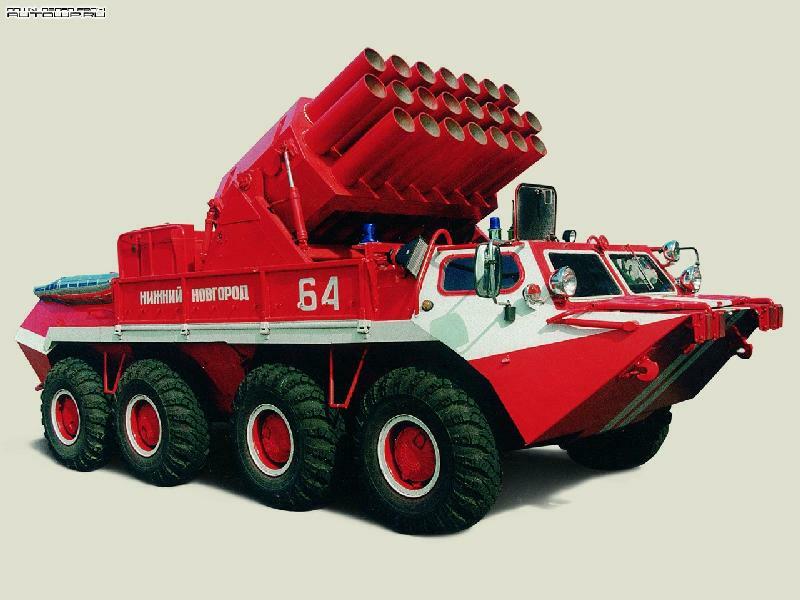 Fire-fighting “Nona”, not a tank though very impressive. If one can feel safe somewhere – this place should be this vehicle – GPM-64. No chips hazard, water tank and crew is always safe. No rubber is used. 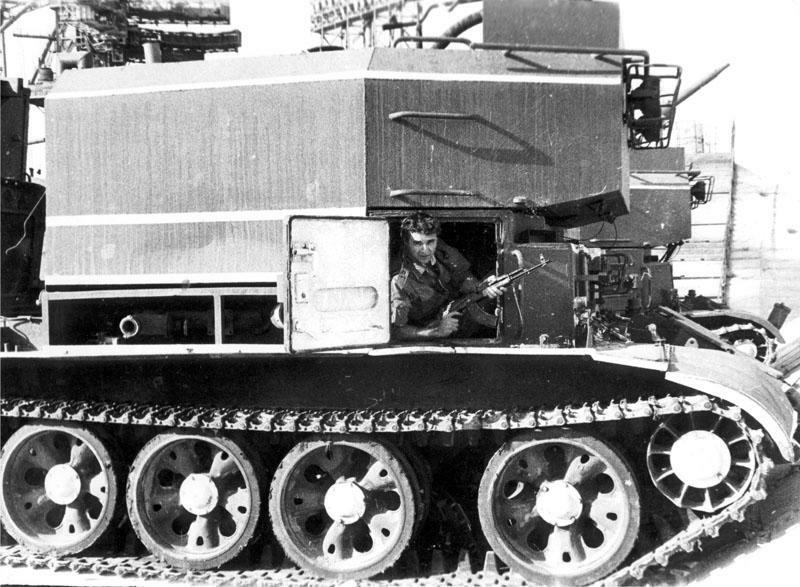 Equipped with a spray system to sprinkle tracks. Not crazy at all. That is exactly what is done in USA. Trzeba ruskim jeszcze raz po mordzie polakom dac. OMG Miss India still inspires us on English Russia!!!! russians have fire fighting planes and ekranoplanes too, but you in west probably always like to write anti-russian comments…. We are using planes and chjppers for fight with plane, you never see that?
! First picture SPOT-55 Made in Czechoslovakia ! No Russia ! The first photo is not in Russia, but in the Czech Republic. You can see at the backgroung czech trucks Praga and Tatra. This fire tank i seen in the city named Skutec. the last one seems functional why dont they put it to work ? 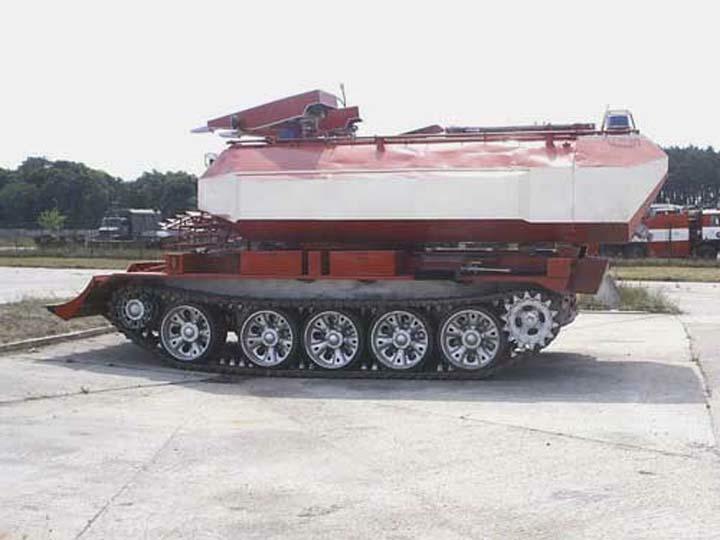 Because it’s based on German Leopard 1 tank. Cool, but do you’ll have enough? Do the fire tanks have sirens? Ok.. I don’t get it. Are those explosive cannons or water jets? That array looks like a concussive attempt to extinguish fire. Powerful… they look like tanks for war. the last photo ist showing a GERMAN Leopard 1 tank that was built by a GERMAN company and that has been modified by a GERMAN company(just look at the plate on the vehicle)in GERMANY. the vehicle is still in GERMANY on display at the GERMAN factory, where ist has been modified by GERMAN workers. Maybee comments like this are the reason why germans are this unpopular. 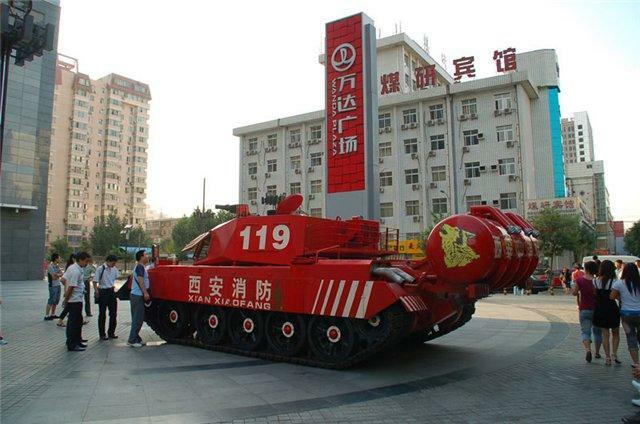 Ever thought that the Blogger just wanted to give an impression of how a modern fire fighting tank can look? well, at least they could have made a comment about it. 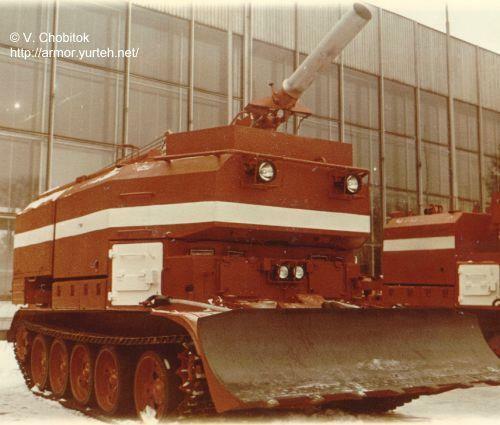 The Title said russian Tanks, and if the last pic isn’t even named correctly people could think it would be russian. thats not propper presentation at all.. Exactly Herbert. Actual facts have no place here – at all. 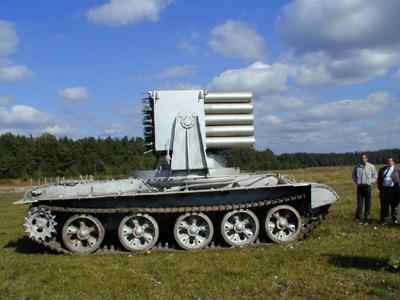 Why tanks? Pretty bloody useless actually. What you need is timber fallers and bulldozers ganged up to cut fire breaks in your forest land. It’s mostly flat country. How deep is your peat layer? 5 feet? 10 feet? That needs to be cut down to the current water table. Why tanks ? So you can put out a fire in a riot and protect the firefighters at the same time allso to protect forest fire fighters from falling timber ect and excess heat. That’s why. 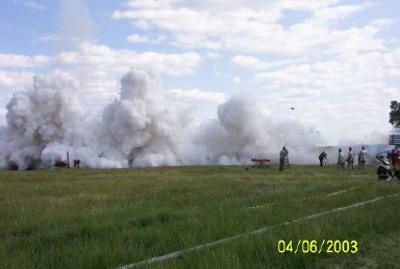 Actually- the way most CONFLAGRATION fires are extinguished is by explosive overpressure. Conflagration is referring to industrial fires- such as propellant explosions, oil/gas-rig or refinery fires, where specialized fire-fighting equipment is required. This was used to clean up the Iraqi Gulf after Saddam’s sabotage of the oil-well-necks. 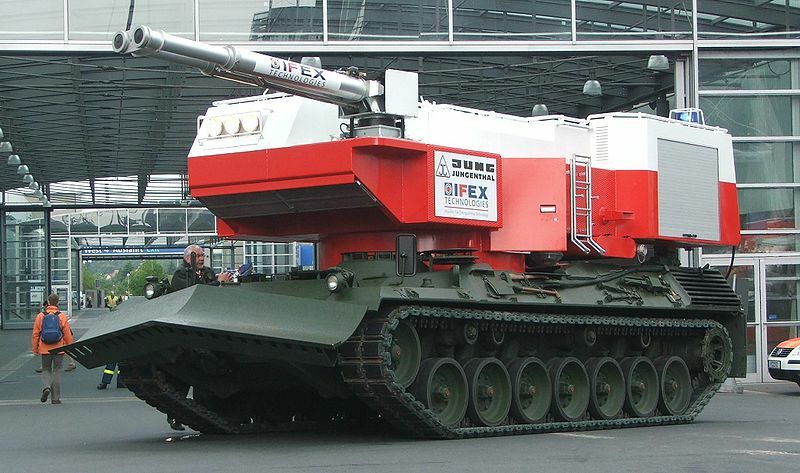 Why a tank? It provides an economical, well-tested, durable platform- many spare-parts easily available- capable of withstanding extreme conditions. 2- lots of water is not necessary (look up water-misting). 3 Russia has the ONLY firefighting jet in the world- it is the Beriev Be-200. 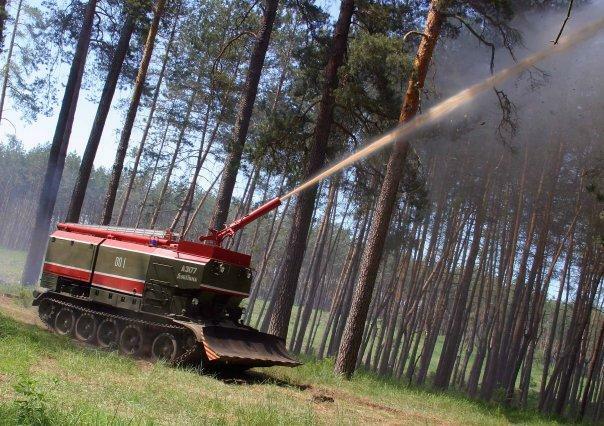 I can see that these tanks are having a massive impact with the current fires. How many are burning now? You’d be better off giving everyone in Moscow a broom to beat the fires out. 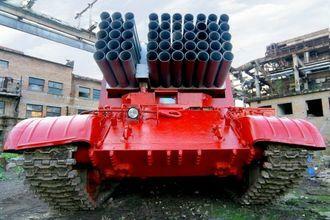 OK. my a$$ is larger than your “vehicle.” And it is loaded with more “firepower” than you will ever muster. Back off and you will not suffer significant damage… maybe … I’m not making any promises…. Only possible practical use for “fire tank” is in effort to extinguish radio-active fire. 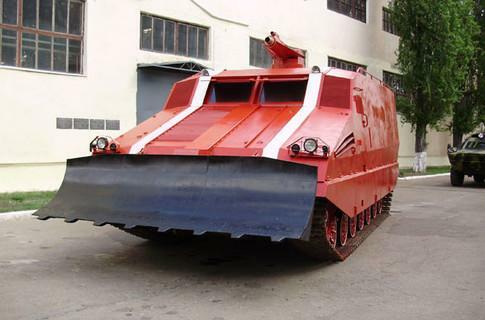 The tank has built-in radiation protection and ventilation system which would be somewhat useful. Perhaps lesson was learned from unfortunate nuclear power plant malfunction in Ukraine. 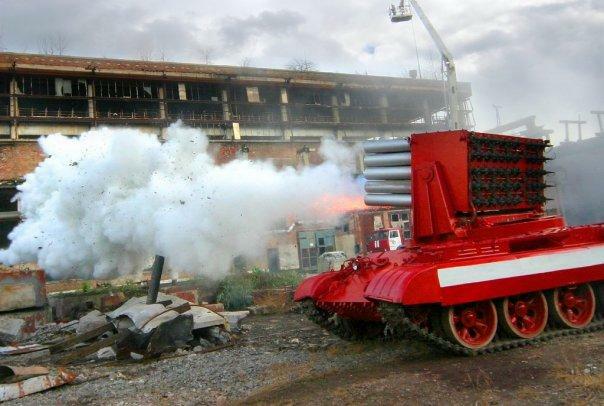 Look for movie ‘fires of Kuwait’ to see fire tanks in action. Normal fires in normal places require normal fire trucks. Try fighting an industrial fire with chemicals, explosives, machinery, etc. and you begin to see why fire tanks are so important. interessanter Beitrag. Endlich mal ein deutscher Beitrag über dieses Thema. I am a firefighter that publishes a magazine about fire trucks. 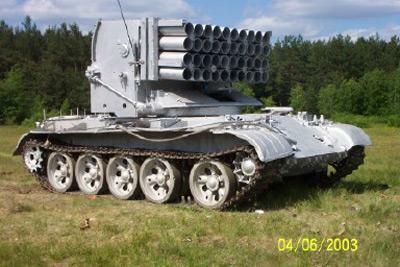 I would like to do a feature about Russian firefighting tanks. Please contact me.